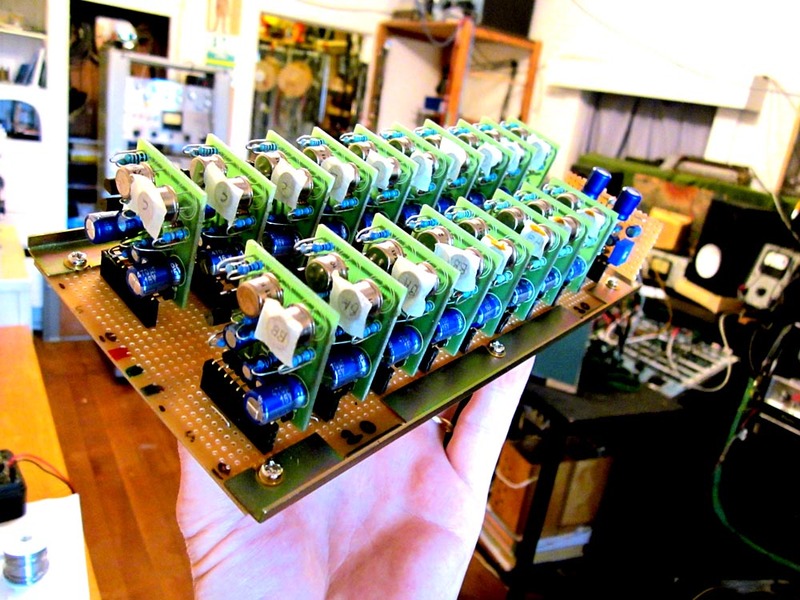 this custom motherboard has enough muscle and brains to activate 8 input channels and pick up 2 stereo busses and make some vu meters move to the music. its made from our neever all transistor operational amplifiers.this mother is the amplifying mind of the small mixer build on the bench this week getting loomed up ready for chassis insertion. i’m letter stamping a drilled up panel today while waiting for the last of the parts to arrive. the simple mixer design has 8 mono panorama abled channels and 2 further stereo inputs. 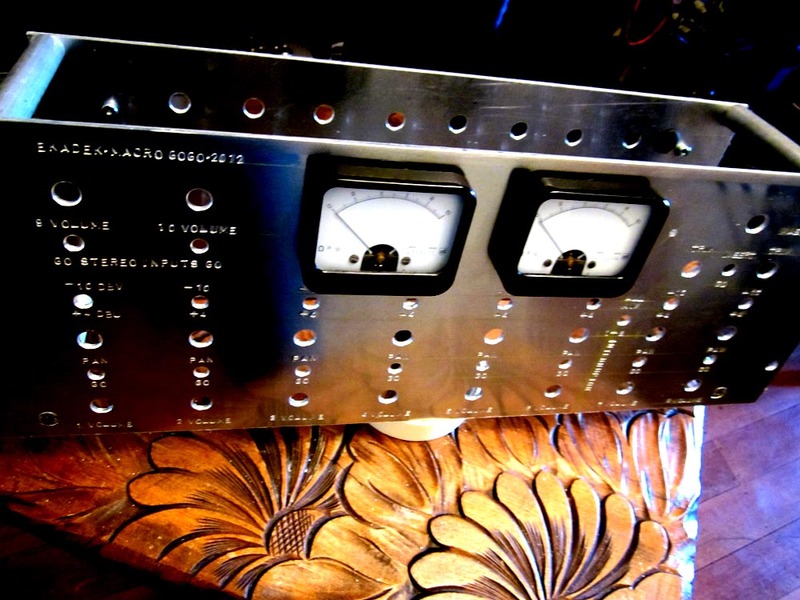 the master gain is fine trim able and has a switchable external fx/eq/limiter inserting function. the mixer also has a bus interruptor function which splits the first 6 channels away to an alternate stereo buss amp which can be driven off to some other external processor, and then back to the main mix via one of the stereo inputs.